The immune system harbors great potential for controling and eliminating tumors. Recent developments in the field of immuno-oncology has led to unprecedented clinical benefits for a broad spectrum of solid tumors. The overall aim is to (i) reprogram the suppressive tumor microenvironment (TME), (ii) promote anti-tumor antigen presentation, (iii) eliminate regulatory T-cells, and (iv) ultimately engage cytotoxic T-cells and activated innate immune cells such as macrophages. Immunotherapy (IT) approaches currently have several challenging limitations including (i) low response rate; (ii) development of resistance and (iii) causing severe immune-related adverse effects (IrAEs), which underline the importance of adequate patient selection. Importantly, IT holds promising synergistic potential when combined with chemotherapy and anti-angiogenic therapy (AAT) as part of multi-modal oncologic treatment regimes. Recent evidence suggests that radiotherapy (RT) in particular may possess strong immune-stimulatory effects which could be clinically relevant for boosting the efficacy of immunotherapy. Studies have shown that RT can (i) increase tumor antigen release and (ii) enhance antigen presentation that is able to trigger a systemic anti-tumor immune response which can be of potential clinical relevance. In selected patients that harbor rather passive immune-surveillance and less immunogenic (“cold”) tumors, and thus do not sufficiently respond to IT alone, the combination of RT with IT could help to convert these tumors to being highly immunogenic (“hot”). Interestingly, AAT also seems to promote the development of a tumoricidal immune microenvironment by (i) directly facilitating immune cell infiltration and (ii) alleviating hypoxia-induced immunosuppression in the tumor microenvironment. Collectively, published data suggest that there is a synergistic link between RT and AAT, which ultimately could help potentiate the response to IT. However, the complex interactions between RT and IT and/or AAT remain poorly understood. Many research questions including optimal timing, scheduling and dosing, as well as patient selection and side effects of combined therapy approaches, remain to be addressed. (i) The interplay between the vascular system and the immune system in cancer. (ii) Synergistic effects of AAT and RT on IT and the potential impact on IrAE. 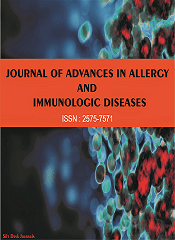 (iii) The role and contributions of both the innate and adaptive immune system with specific focus on the immunosuppressive microenvironment and its therapeutic relevance. (iv) The contribution of the myeloid compartment to tumor resistance against AAT, RT, and IT.